Looming gothic spires and elegant baroque buildings… oddly-shaped squares and cobblestoned lanes… rivers and canals cutting across the network of roads and boulevards… flat land full of bikes and then some steep slopes. Which cities of Europe come to your mind? Need more clues? Heaps of hearty food and heaps of healthy food… copious amounts of milky coffee and golden beer? A multicultural population with nonchalant fluency in three or four languages? Which country might that be? No, it’s Belgium. Not to be underestimated, with its rather rare sunshine or otherwise (I got sunburnt in May). 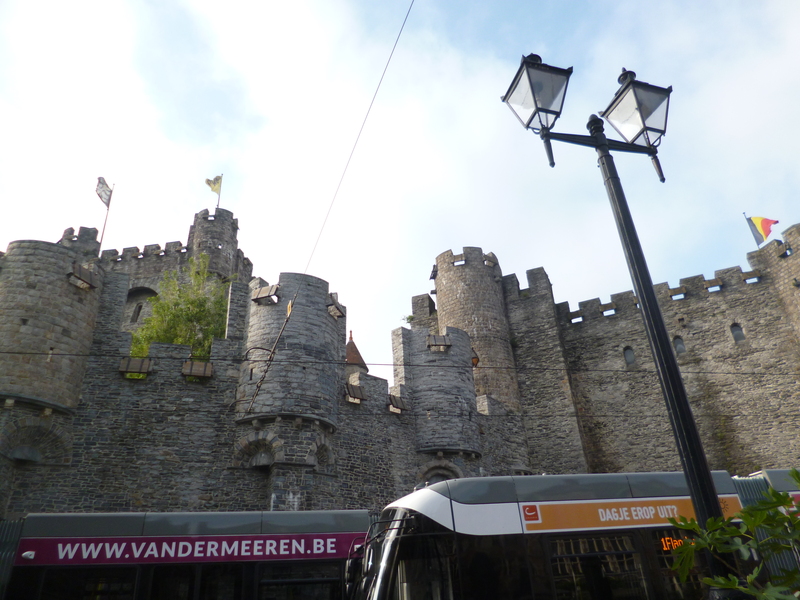 Or have you lately ridden on a tram through the middle of a busy town and caught your breath when it carried you right along the battlements and moat of a mediaeval castle? That’s what happened to me when I looked for my hotel in the great old city of Ghent. 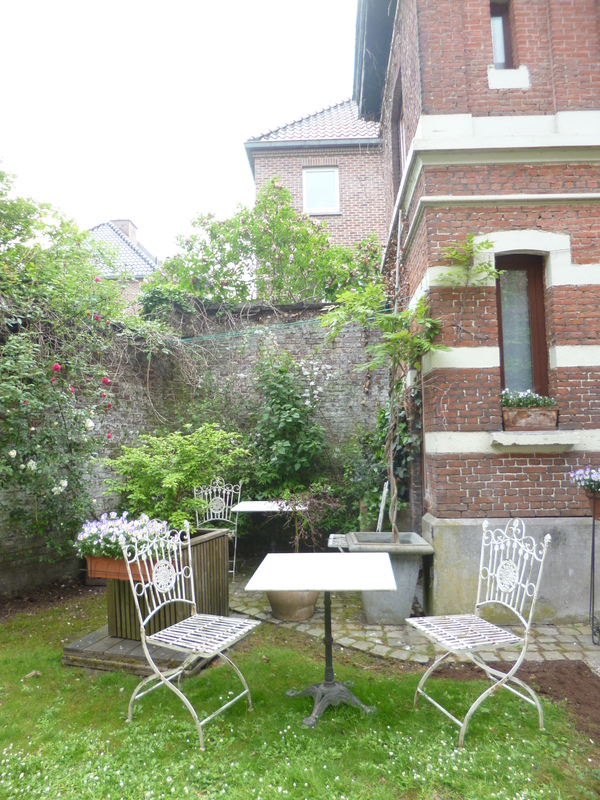 It turned out to have an absurdly romantic garden with rambling red roses, wrought-iron garden furniture, a single lily rising above a pond, and a rabbit grazing in the long dusk. This was surely the entrance to a Wonderland, for my dreams in that villa were as labyrinthine and eerie as the story of Alice. I was on an Erasmus study week for professional staff at universities; these are the people who neither study nor teach nor research but keep the place going. In our case, we were two dozen human resources, information technology, and library staff. Librarians from all over Europe (note the Belgian host in the corner). 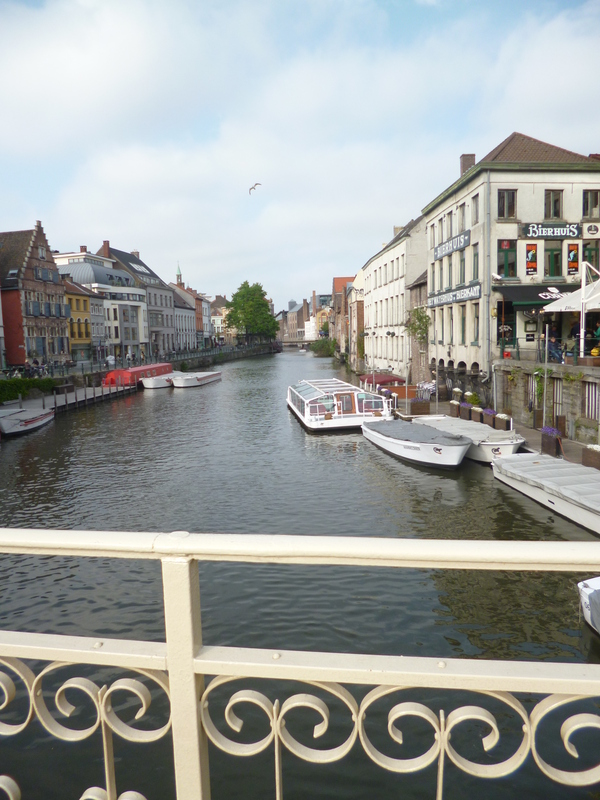 Ghent was a mind-blowing location, but the journey was far from a holiday; as you all know, studying or training can be harder than doing a job. Lectures and talks, guided tours and work-shops followed each other, demanding our attention and our contribution. 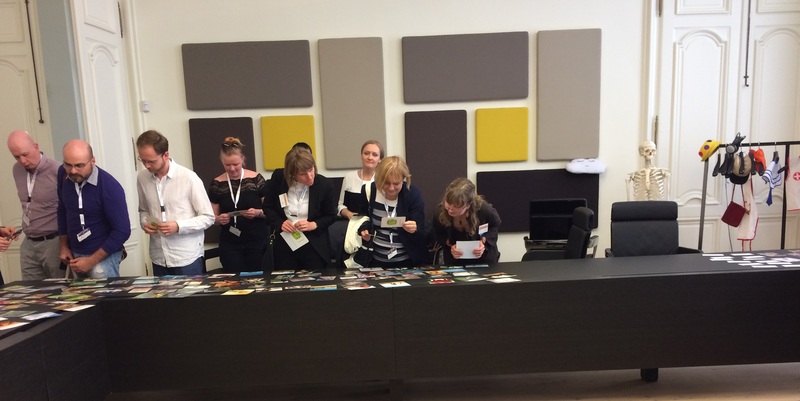 The ten librarians from all over Europe (including Russia) were welcomed by about as many colleagues from Artevelde University College (AHS), who had worked on the programme for a year and showed continued interest throughout the four action-packed days. Their theme was ‘Superheroes’ — and now I know why! Another theme emerging in the course of our professional exchange was ‘information literacy’: how do people find their information when there’s too much of it? How do they evaluate its quality, how do they sort it, quote it, use it? Is there a complementation or a conflict of print and digital resources? How do we motivate you, the readers, to find stuff to read… and then to read it, like, actually read it? 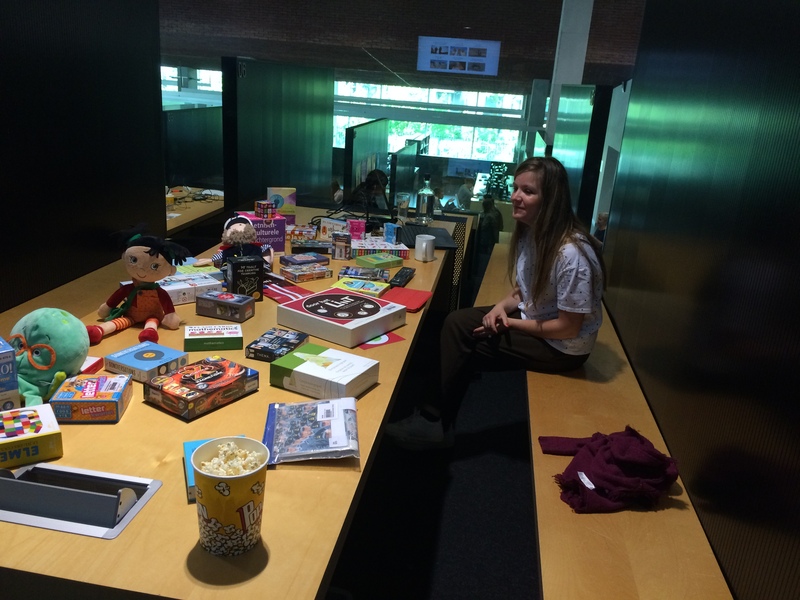 Artevelde University College libraries have 200 games to borrow. A journey abroad also makes you question the society you live in. At a time when hundreds of public libraries are being closed or quite literally shrunk in England, it is uplifting but also embarrassing to wander through a brand-new, state-of-the-art city library. Some of De Krook’s five floors are as big as a football pitch, and all are full of shiny books, new computers, designer furniture, free events, and eager readers, including university students. 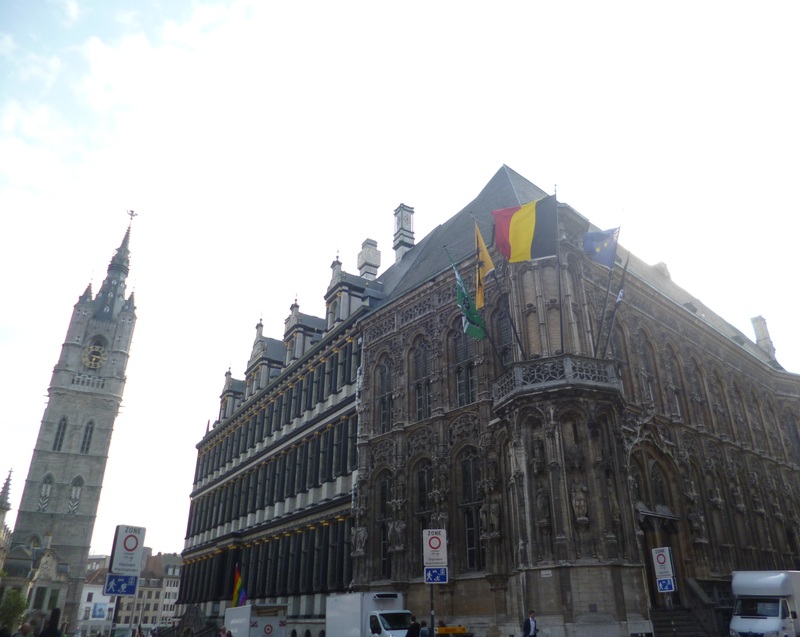 If in turn you want to visit an academic library as a member of the public, a lifetime of borrowing in Ghent sets you back as much as one or two days of reference access in London. AHS Alumni can continue to take books out and use the workstations free of charge. The librarians also integrate refugees as voluntary workers, which seemed to me an arrangement valuable for the students and invaluable for the refugees. Have you dressed up a skeleton yet to personify the ideal librarian? Have you done speed-dating with librarians, darting from one library cubicle to another — although maybe mainly to learn about their work? 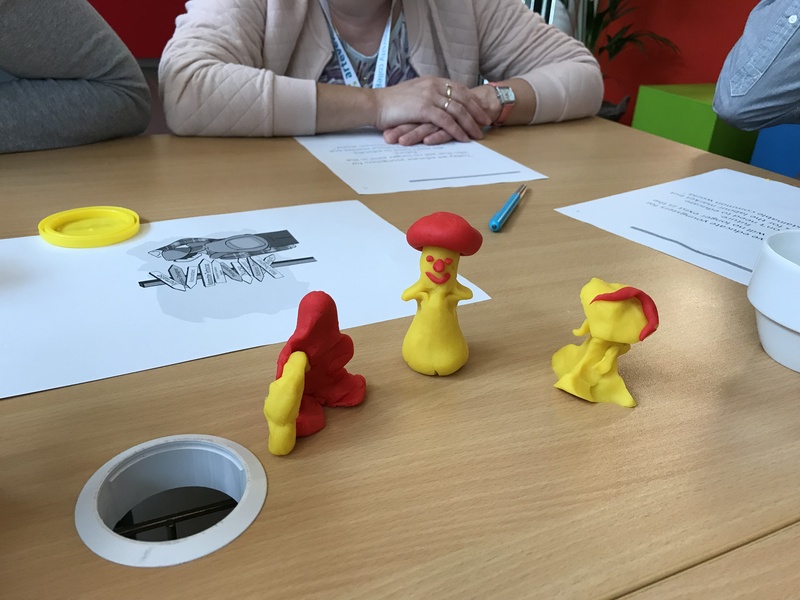 Have you met librarians who recommend Lego bricks and playdough for team-building and use these themselves (must have worked, too)? The main success, I believe, lies in a different field for every participant in an Erasmus training week. Most participants, for instance, must concentrate to communicate in English on a professional level all the time; for me personally, it was the opportunity to immerse myself in French and Dutch in Belgium. For someone quiet or shy, it would be an immense chance to speak in front of a small and sympathetic international audience; for me, the challenge was tackling various computer programmes I do not normally use. Above all, anyone who has made the journey to an Erasmus experience will be motivated to continue in their career, dedicate themselves, develop their skills. They will also be convinced that, as the deputy mayor of Ghent assured us, neither people nor ideas should stop at borders. Photographs of Ghent (including Gravensteen Castle and Town Hall): Christina Egan. — Photographs of Erasmus week: Artevelde University College Library Services © 2018. This entry was posted in Library and Archives and tagged Belgium, Erasmus, Ghent, international exchange, professional development, professional staff mobility. Bookmark the permalink. Hello Christina, a very nice report. I agree with you, it has been an amazing experience.